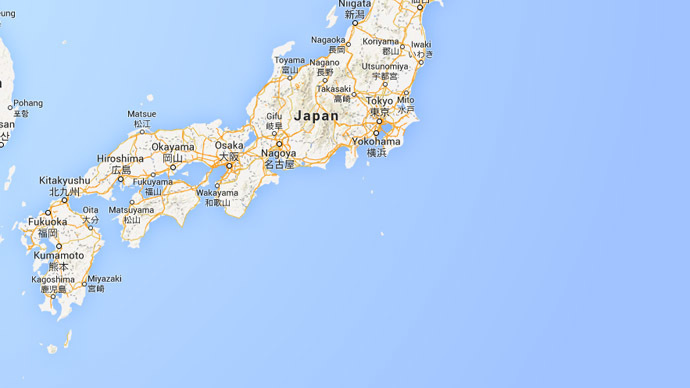 A 6.2 magnitude earthquake has struck off the southern coast of Japan, according to the US Geological Survey. The quake, with its epicenter around 290km (175 miles) southeast of Hachijo-jima, Izu Islands, struck at a depth of 65km (38 miles). The event comes just hours after another 4.4 quake took place just off the Kuril Islands, disputed with Russia. The tremors also come a day after another quake struck off the eastern coast, measuring 5.8, with the epicenter about 100km east of the city of Miyako. An earlier even in mid-February hit 6.9 magnitude, with promise of 1-meter tsunami waves, hitting off the northern coast of Japan, also close to MIyako. It struck in the same region where a devastating 9.0-magnitude quake had in 2011 - the one that caused the tsunami, which led to the Fukushima nuclear power plant meltdown. Earthquakes are common in the region. Japan straddles four major tectonic plates, with one of them – the Pacific Plate – subducted beneath the island of Hokkaido, the northeasternmost of Japan’s four main islands.